Join our mailing list to stay up to date with our latest products, offers and more. We are SPORTAGRAPHS Limited a UK registered autograph dealer. 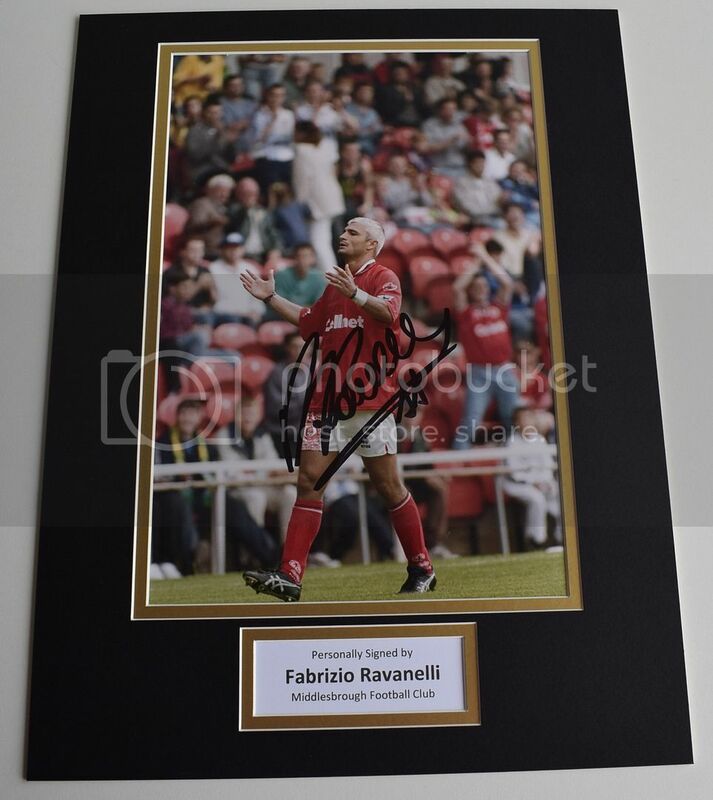 With our amazing feedback and 100% lifetime money back guarantee you can have confidence that you are buying a genuine hand signed Fabrizio Ravanelli autograph. Each item we sell comes with our own exclusive COA which contains a unique hologram identification and importantly all our company contact details including business address. At Sportagraphs Ltd we do not sell copies; auto pens, secretarials or pre printed signatures, we only sell 100% genuine hand signed items that are autographed by the celebrity. Each item comes with a 100% lifetime money back guarantee of authenticity. We accept all major credit and debit cards and can process your payment over the telephone 9am – 9pm daily. We also accept PayPal, UK sterling cheques and postal orders. You can even collect your items from our office if that is more convenient - just give us a ring. Postage to the UK is free for standard postage but we also offer a bespoke next day or tracked service, details are on the item. Postage rates outside of the UK are as low as we can possibly offer AND we combine postage if you buy more than one item. We post out 6 days a week and if you make payment before 4pm we will post your item the same day. For all framed items we use a door to door courier service. At Sportagraphs Ltd we want you to be 100% satisfied with your purchase from us, that is why we offer a no nonsense moneyback guarantee on every purchase, just send the item back to us within 14 days and we will issue a full refund. As collectors and now autograph dealers we have travelled many miles both in the UK and abroad to get our autographs. We now participate in and organise many private signing sessions where the celebrity is paid to sign items in a controlled environment. Below is a small selection of photographs taken at private signing sessions we have been involved in. We are also AFTAL approved and we are AFTAL dealers 165, if your autograph dealer is not AFTAL approved ask them why. All orders dispatched same day if purchased before 3pm; UK standard postage FREE express postage £6.95. Worldwide Standard £8.95 Express £24.95. Sportagraphs is a proud member of Autograph Fair Trade Association. 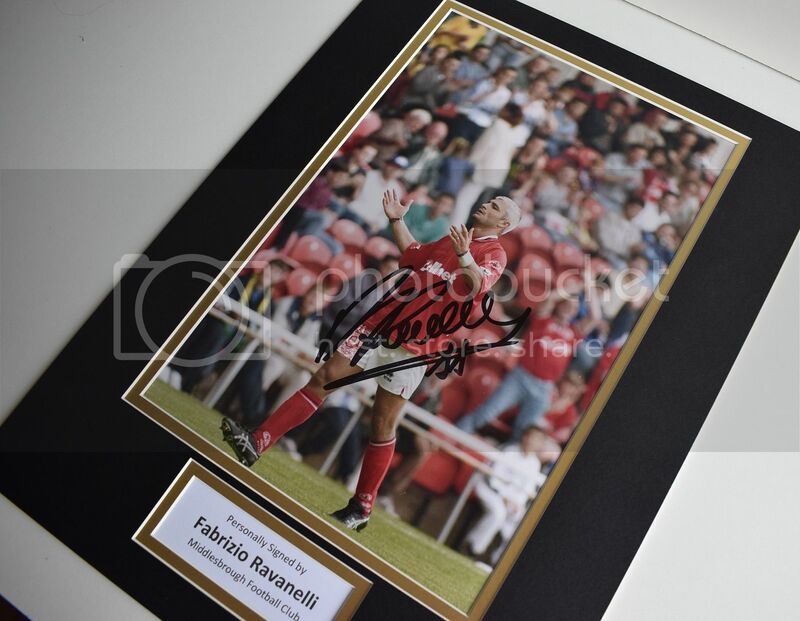 AFTAL was formed by a groud of reputable autograph dealers across the UK, with the intention of removing fake items and ensuring that customers are able to find a reputable autography/memorabilia seller. "Great quality product and great customer service!" 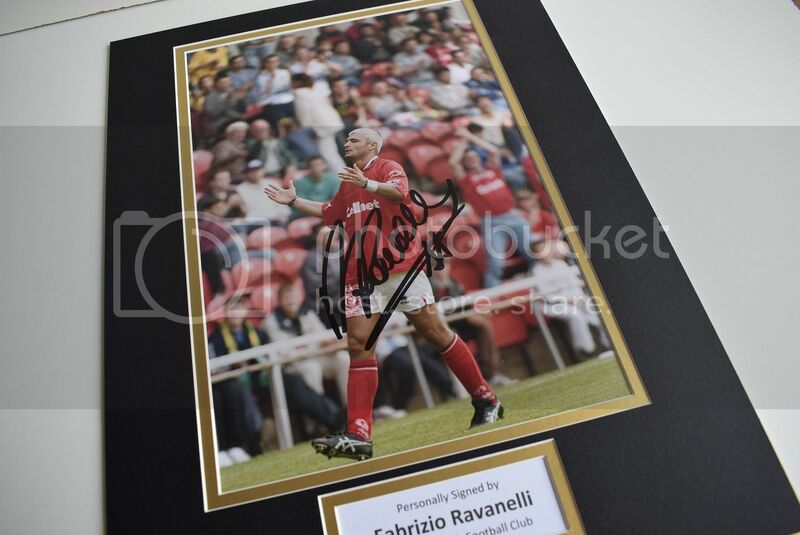 "Fantastic, was as described, well packaged, I am relay chuffed with it"
"Excellent service, very quick, I will use this company again"
"Very good service, Prompt & efficient, Good clear photograph & autograph"
Welcome to Sportagraphs home of Football, Sport, Music, Movie & TV Autographs & Memorabilia, we are a family run UK business based in the North West of England. We have been trading for many years and we have built up a first class reputation as one of the UK’s leading autograph dealers with over 10,000 customers, many who return again and again.